How to Choose the Perfect Virtual Assistant for You? Home → Uncategorized → How to Choose the Perfect Virtual Assistant for You? 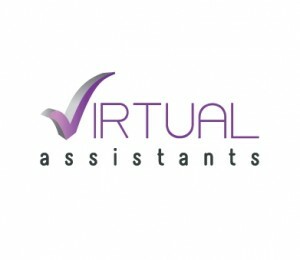 „ How to Choose the Perfect Virtual Assistant for You? There are very many virtual assistants worldwide. Most of them are specialized in one or more business fields, for example: administrative and secretarial jobs, personal assistance, marketing & SEO, legal consulting, accounting advising, development of software applications etc. Try to objectively evaluate the professional background of the virtual assistant. On the one hand, you need a virtual assistant who is experienced professional who knows what and how he is doing. It would be great if you find a narrow specialist in the relative field who perfectly understands, analyzes, prognosticates, summarizes, improves and amends the essential core of his work activities. Working experience of above 7 years in the relative industry would be enough period for every virtual assistant to reach a high level of expertise. You need to investigate if his previous working experience and activities are similar to the working tasks you want to assign to him when you hire him. Remember to check for the educational background of the virtual assistant. Also, you should not underestimate the educational background of your virtual assistant. The more educated he is, the greater the expertise and the quality of his job is. That is why you have to carefully check for his competencies, know-hows and knowledge that are relevant to your requirements and business tasks. The education of the virtual assistant has to be relevant to his professional experience in order to fulfill gaps between theory and practice. Lower or higher degree obtained from the university would be useful – minimum requirement is a Specialist degree, average is Bachelor, recommended are Master or PhD certified virtual assistants. The more educated the virtual assistant is, the more you would be satisfied with the results of his job. It is important to get to know the personal traits and character of the virtual assistant. What is the nationality of your virtual assistant? Do you want him to be from your country and to support you locally? Or may be you need a virtual assistant from a different culture and mentality who will support you to expand your business contacts abroad? Try to learn more about his family, folks and childhood. It would be nice if you have similar interests or hobby. Having a friendly and open-hearted communication will help you build a strong relation on the basis of humanity, mutual agreement and sympathy. How to Make a Final Decision? Do you know how to get all the important information about your virtual assistant? CV & Cover Letter – First thing to do is to require and preview his CV in order to see what is his previous professional experience and education. It is compulsory to ask him to prepare a Cover letter to make sure that he is motivated, devoted and he loves the job he would be doing for you. First Interview – It is reasonable to have a discussion and a first interview – online conference call, phone call or a meeting face to face if possible. If you feel harmony and synchronization of your role-models, work activities and life style, you can move to the next level. Test work task – The next step is to test his knowledges, competences and skills. The best thing to do is to assign to him 1 or more working tasks that you would usually need him to do for you. In this way the virtual assistant will be able to fix his time for reaction, use his skills and competences, determine if this job is acceptable or stressful to him and if he can deliver excellent results to you. If you are happy with the results, you can go ahead. Second Interview – In case you think he is the perfect virtual assistant for you, you should appoint a second discussion when you can make an official proposal and fix the working conditions together with your virtual assistant. You should consult with your lawyer and accountant. It is recommended to conclude an agreement either for some virtual services, or have a subscription contract on a monthly basis. It is great if you agreep upon a testing period which may be from 1 week up to 1 or more months. Start a Working Together – You are now ready to start a successful cooperation with the Virtual Assistant whom you have chosen to work with. It is possible that the execution of the previous few steps and stages may have taken to you at about 1 month. So now you feel closer to the individual character of your Virtual Assistant and you can build a stable, loyal and friendly atmosphere of the working process and routines. We know how hard is to choose the most suitable Virtual Assistant for you who can do various jobs for you in the best way fitting your needs. It is important to evaluate not only his educational and professional background but also get to know his individuality better. We hope that the above ideas and tips will help you choose the right Virtual Assistant for your business and private needs. May be there are other details you should consider when choosing the perfect Virtual Assistants, so please feel to share your comments, ideas and feedback. On April 14, 2012 / Uncategorized / Comments Off on How to Choose the Perfect Virtual Assistant for You?